It’s the new years and I’m sure for a lot of you, you are looking forward to eating healthy and exercising right! The most important way to do this is to start off your day right with the correct morning. You wake up, brush your teeth, wash your face, shower and then head to work or school! If this is what you usually do then, rewind! Try to wake up a little earlier, sometimes just 5 minutes so you can eat breakfast. it is essential to giving you energy for the day and to burn off all the calories you like later on in the day! My recommendation for today’s breakfast is low fat milk with muesli, organic fruits and nuts and a little bit of cinnamon if you like it. The fruits in this breakfast will be coconut and raisins. 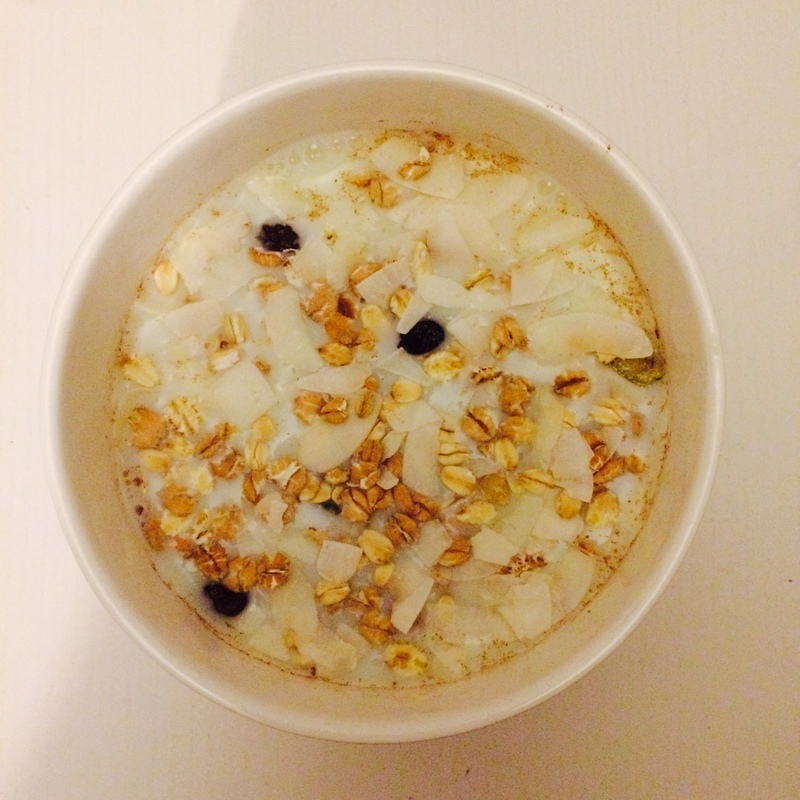 Coconut is known to have many benefits to the body such as speeding up your metabolism so you can burn more calories, it improves your heart, improves your digestion system and of course it is a good source of energy! The nuts in this are almonds, walnuts, hazelnuts and cashews! You can choose which ones you like and put it in your milk depending on your taste and they are all a good source of energy as well! Interesting combo of fruits for brekky. Yes! Something new to try!